Give a 10-year-old girl an iPhone and she’ll likely use it to take a cute selfie or watch a funny YouTube clip. Palestinian Janna Jihad Ayyad uses hers to report on violence in her village. 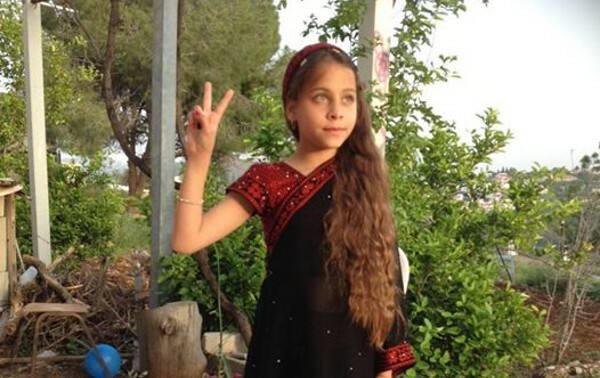 Janna, 10, considers herself one of the youngest journalists in the world and says she has a responsibility to record what is happening in the occupied West Bank and beyond. Janna’s mother, Nawal Tamimi, says she is both scared for and proud of her daughter “because as a child, she tells her message to the world”. Janna, who lives in the village of Nabi Saleh, began making videos of what was happening around her when she was just seven years old. “Not a lot of journalists are sending our message from Palestine to the world, so I thought, ‘why not send my message… and show them what is happening in my village’,” Janna tells Al Jazeera. Al Jazeera reports, Janna’s uncle Bilal Tamimi is a photographer who has documented the actions of soldiers in their village. His work inspired Janna but it was the deaths of her cousin and uncle which spurred her to begin documenting what she saw. Since then, Janna’s work has led her beyond the village borders with her family where she uses her mother’s iPhone to record videos of what she sees. More than 26,000 people follow Janna on Facebook, but the cub reporter aspires to work for CNN or Fox News. How young is too young when it come to reporting news? Nine-year-old Hilde Kate Lysiak from the US copped backlash when she broke the news of an alleged murder two blocks from her home in Pennsylvania. The CBC reports Hilde’s Facebook page and YouTube channel were filled with negative comments from people telling her to “play with dolls” and criticising her parents for letting her report on such a serious crime. Since 2014 Hilde has run the Orange Street News with help from her sister Isabel Rose Lysiak, 12, and their former New York Daily News reporter dad Matthew Lysiak. “She was embraced when she was doing cuter stories, but about six months into writing the paper she got more confident and started stepping outside the box,” Matthew tells CBC. Hilde was quick to hit back at the haters, putting out a video defending her work. “I know this makes some of you uncomfortable, and I know some of you just want me to sit down and be quiet because I’m nine,” Hilde says.